Although I can't wait to rock a bold burgundy lipstick this fall, with the warm weather we are now having, on most days my skin still craves a very lightweight base. I have just discovered a brilliant ultra-light foundation perfect to get the no-makeup makeup look: It's the PUPA Like A Doll, Perfecting make-up fluid. 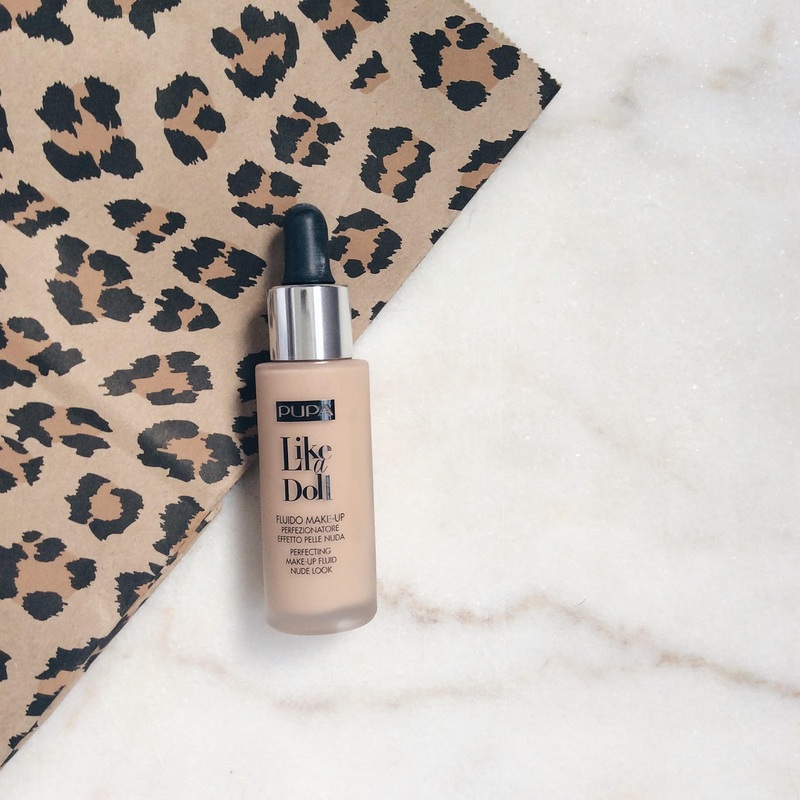 While this fluid base doesn't provide a whole lot of coverage, it still imparts a healthy veil by minimizing blemishes. It also adds a beautiful luminosity to the skin, which is exactly what I fancy on days when my face looks dull or tired. Only a few drops of liquid are needed in order to cover the entire face and the pipette allows for a precise application. That's why this weightless foundation has become my trusted base to achieve a dewy naked face.